How to modify a BOM on drawing template in Advance Steel 2010? 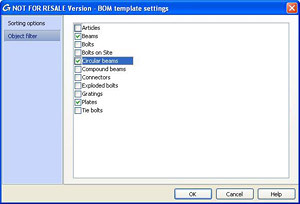 In Advance Steel 2010, the BOM on drawing templates are saved in ".dwg" format in the "BOMTemplates" folder from "...\Shared\Support\". The templates can be modified in the existing ".dwg" or new ones may be created. To insert a text box into a new template, use the "Create list fields" command from the "Listing and checking" menu. This command adds all necessary text boxes to the BOM template context (as much for the page header as for the list content fields). 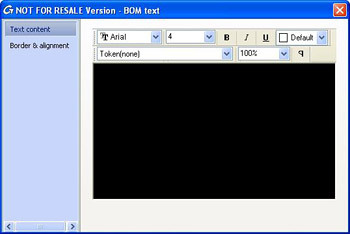 After inserting the necessary text in the template, the text boxes should be grouped using the "Group fields" command. and "REPORTFOOTER" (the last line from the BOM template that contains the summaries). More groups may be added at the beginning and at the end of the BOM template named "GROUPHEADERx", GROUPFOOTERx" (where x is a number ranging from 1 to 10). After finishing the group configurations, "List sorting & content" command is used to continue the BOM template configuration. 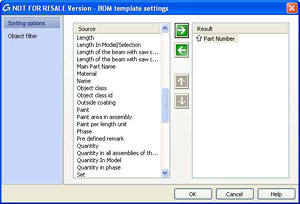 After the BOM templates has been configured and saved in the "Shared\Support\BOMTemplates" folder the "Insert a list" command is used to insert the newly created BOM template in the drawing.